Since summer break is just around the corner, I mostly have books from my library's 'Paperback Picks' shelf to keep on hand in June and July, as I can easily renew these books - if you live in KCLS land, I highly recommend grabbing books from the paperback picks section and other super user tactics. So, I picked up an Elin Hilderbrand for easy breezy reading, 'natch, and the first of the Neapolitan novels: My Brilliant Friend which seems like a good summer pick. 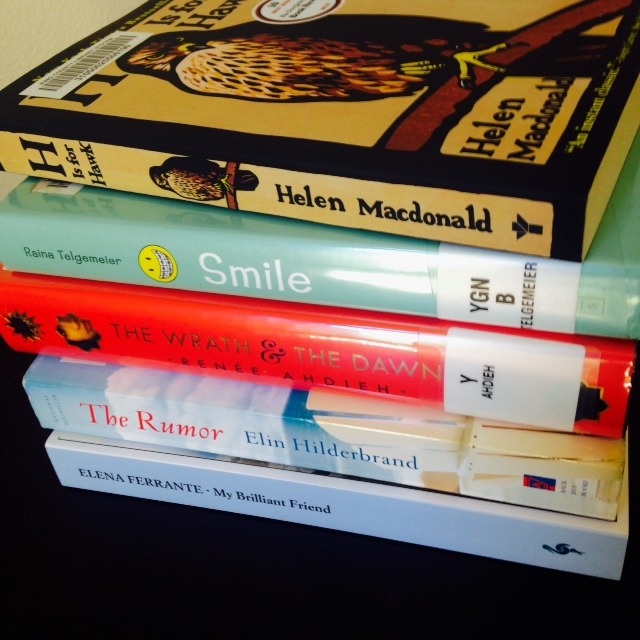 I also grabbed H Is for Hawk by Helen Macdonald as it's been on my radar for months, Smile for my oldest (but I read it, too, and it's FANTASTIC), as well as a book club pick: The Wrath and The Dawn. 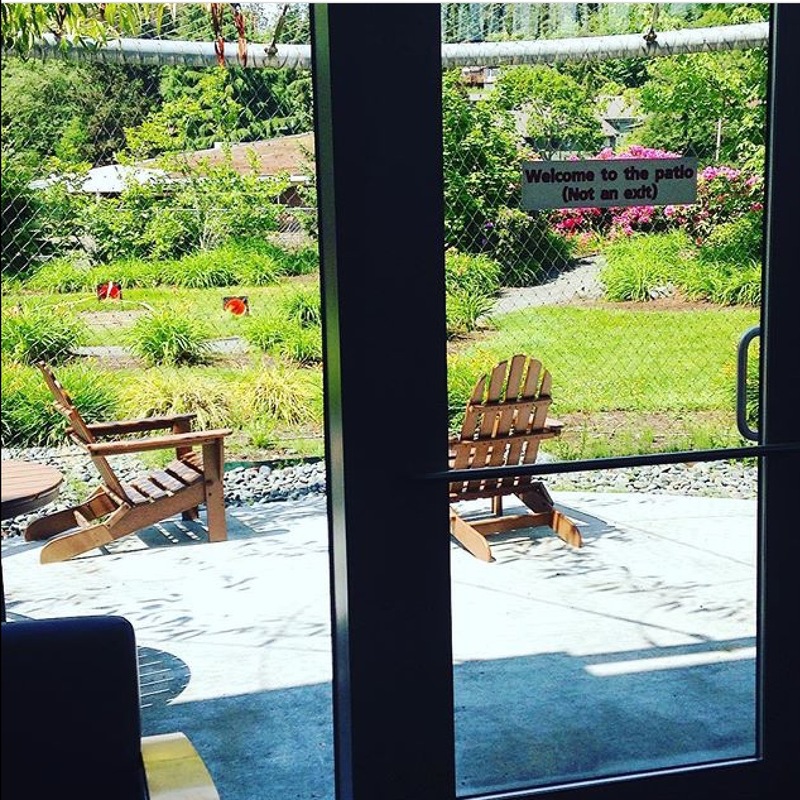 Also, how awesome is this wee patio at my local library?? Oooh, I just finished In a Dark, Dark Wood - very hard to put down!